Take a look at the ad below. Note the deal on Wednesdays. Buy one taco Al Pastor and get one free. That is a great bargain. And it may seem familiar to some of you. It should be. 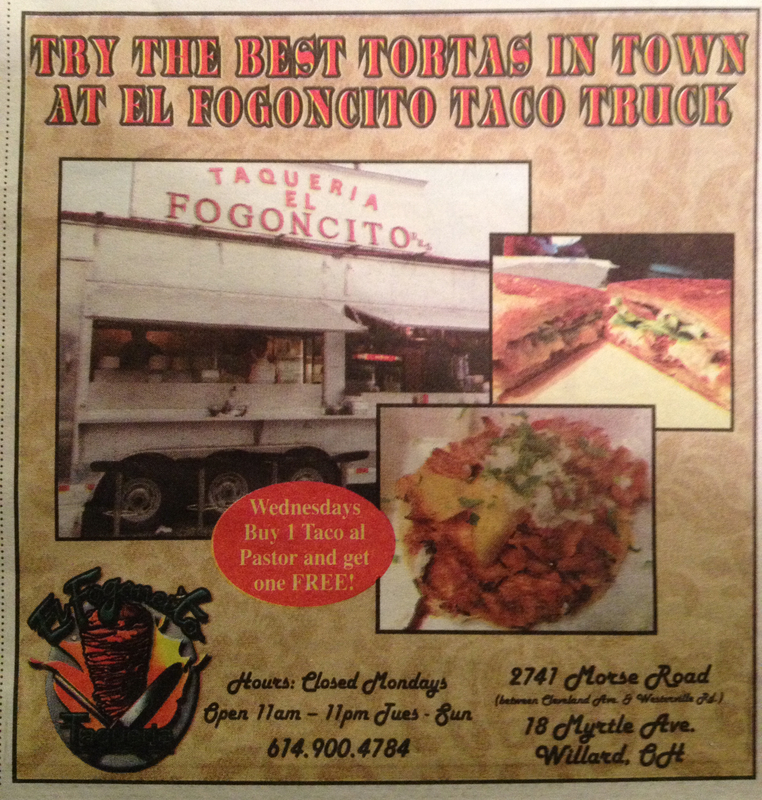 The owners of Fogoncito are related to the owners of Los Guachos – it is a similar item and the same deal on a different day. You may also recall an earlier post, where we make the argument that print ads show the change in attitude towards and the business model of Taco Trucks. The times are still “a’changin”. What will we start to see more of next?